NOTE: Call ACOLS for course and alumni discounts BEFORE selecting PayPal. 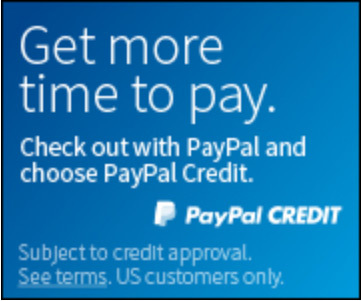 Select PayPal Credit during registration and follow instructions. The registration deadline has passed for this class. This policy is effective as of August 1, 2017. The Academy of Lymphatic Studies policies are subject to change without notice. To check for updates and our most current policies, go to https://www.acols.com/about/policies.php​,or call 772.589.3355 to request a copy. (5) hours of the Complete Lymphedema Certification class or three (3) hours of the Certification in Manual Lymph Drainage class may not receive a Certificate of Completion. Certification ​In order to receive a Certificate of Completion for one of our “Certification” courses, the participant must pass ALL exams administered. Each exam is Pass or Fail. If the participant fails any portion of the course, the participant will be allowed to retake the course, or the necessary portion of the course, one time, free of charge. If additional attempts are required, there will be additional charges. CEU Information​ CEU's are available for our courses, however the Academy does not apply to every state, for every profession. 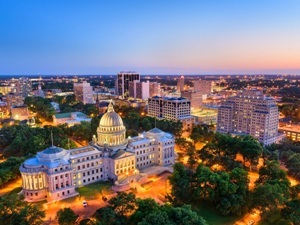 Each state and profession are different, so ​please contact our Admissions Department for more detailed information regarding CEU approvals.​Depending on the state’s requirements, we may be able to apply for CEU’s on your behalf. If CEU’s are needed, it is the therapist’s responsibility to notify the Academy of the need for CEU’s. At that time, we will investigate the requirements and inform the participant accordingly. Transfers ​ Tuition is fully transferrable up to 10 days prior to the first day of the course free of charge, one time only. Subsequent transfers will incur a $50.00 transfer fee. Transfers done within 10 days of the first day of the course will incur a $100 transfer fee. Any transfer fees will be deducted from the participant’s credit balance. In the event the participant decides to cancel and request a refund, the Cancellation Policy stated below will apply in addition to any transfer fees accrued. Cancellation Policy​ ​If participant cancels within three business days of registration, the amount paid is fully refundable. If participant does not cancel within this period, participant agrees to adhere to all policies contained herein. The tuition for all of our courses is partially refundable. Any participant canceling 4 or more days after registration is accepted will incur a $100 cancellation penalty. If the participant cancels within 15-30 days prior to the first day of class the penalty increases to $250. If the participant cancels within 14 days prior to the first day of the class, the penalty is $500. The full tuition paid becomes non-refundable once the participant has attended all or part of the course, whether or not the participant successfully completes the course. Documented medical/family emergencies are the only exceptions for transfer or cancellation fees. condition, void of handwriting, marks or highlights, in re-saleable condition. Once materials are received back to our office, in undamaged condition, we will refund the remaining funds due to the participant. If the participant decides to keep all or a portion of the materials, the prices below will be assessed to each item retained by the participant. The remaining items must be returned to us, undamaged. Once the remaining materials are received back to our office, we will charge for each item retained and refund the difference. **Not all of our courses use these exact materials and not all of our courses ship these materials prior to the start of the course. We will only hold the amount necessary for the items shipped to the participant until they are returned. If you did not receive any materials prior to the start of the course, we will refund your tuition minus any cancellation fee that may apply as outline above. Refunds​ Refunds are processed back to the same payment type as they were originally received (ie: via credit card or via check) and are processed within 45 days of request. Special Financing Disclaimer​ The Academy of Lymphatic Studies offers an interest-free financing option for the Complete Lymphedema Certification course only. To receive the special financing, participants need to complete a credit application and obtain approval for extended credit. If approved and credit is extended, please note that the course Certificate of Completion will not be given to the participant upon graduation. The certificate will be held on file until the account balance has been paid in full. Upon payment in full, the Certification of Completion will be mailed to the participant. Dismissal​ Any participant may be dismissed from the program for insufficient progress, non-payment of tuition, non-attendance, or unprofessional/unethical conduct. Reinstatement following dismissal is at the discretion of the instructor and/or the Academy of Lymphatic Studies. Cancellation of Classes ​If the course is cancelled because of insufficient registration, all monies received will be fully refunded as outlined above or transferred to another class as elected by the participant. In the case of cancellation of the class for any other reason, a new course will be scheduled and all payments will be transferred. In the event that the instructor falls ill, the class will be rescheduled. Scope of Practice / Code of Ethics ​Attendance at one of our courses is not intended to be used as a hands-on license. You must work within your professional scope of practice and abide by the rules and/or laws that govern health care practices in your applicable region (ie: city, state or province). As a practitioner using therapies taught through the Academy of Lymphatic Studies, you are expected to administer treatment protocols within your scope of practice, respect the code of ethics of your licensing or certifying body or locale that you practice in and adhere to the highest professional standards. Insurance Reimbursement​ Insurance reimbursement policies vary for manual therapies and for each profession. If insurance reimbursement is an integral part of your practice, we encourage you to verify insurance acceptance for your profession in your state/locale. Special Needs​ If special arrangements are required for an individual with a disability, please contact us at least 60 days in advance. We will do our best to accommodate persons with disabilities as outlined by federal laws. Medical Considerations / Pregnancy Policy​ Manual Lymph Drainage and Complete Decongestive Therapy is a gentle, manual treatment technique. As with any health care modality, some medical conditions may be contra-indicated for and/or aggravated by certain types of manual treatment technique and compression therapy. To support your wellbeing as a participant, it is important that we are aware of any health conditions you may have. You may be provided a medical history form that must be completed. In addition to this medical form, please speak directly with the instructor if you have any serious medical conditions or if you have any concerns for your health. The Instructor will advise you of any restrictions. If you are or suspect you may be pregnant, please inform the Instructor prior to any hands-on techniques. The Instructor will advise you of any restrictions. Any medical information you provide will be kept confidential and only viewed by Academy of Lymphatic Studies personnel for the purpose of evaluation as it pertains to your participation in our courses. Copyrights​ ​All material in our courses is, unless otherwise stated, the property of Academy of Lymphatic Studies. Copyright and other intellectual property laws protect these materials. Reproduction or retransmission of the materials, in whole or in part, in any manner, without prior consent of the copyright holder, is a violation of copyright law. Individuals must preserve any copyright or other notices contained in or associated with them. Users may not distribute copies to others, whether or not in electronic form, whether or not for a charge or consideration, without prior written consent of the copyright holder of the materials. Contact information for requests for permission to reproduce or distribute materials available through our courses is available by contacting the Academy of Lymphatic Studies at 772.589.3355. Competition​ The participant shall not under any condition solicit for competing purposes in the training and certification of other therapists. Although the participant is free to distribute information concerning lymphedema and its treatment, the participant shall not be permitted to train any other person in the procedures taught during our courses unless granted instructor privileges under the guidelines of the Academy of Lymphatic Studies. Disclaimer​ ​Attendance at one of the Academy of Lymphatic Studies courses requires you to hold the Academy of Lymphatic Studies and its representatives not liable and harmless from litigation for any injury, accident or undesirable effect that may occur at the meeting site, from their equipment, and/or from other attendees. This is to include, but is not limited to, faulty elevators, slippery stairs or walkways, falling light fixtures, breaking chairs, collapsing tables and pre-existing medical conditions. If you are more comfortable bringing your own equipment, including a treatment table, you are welcomed and encouraged to do so. The Academy of Lymphatic Studies and its representatives are also not liable for any injury, accident or undesirable effect that may occur due to any equipment another party, such as a fellow participant, may bring in. This is to include, but is not limited to, a treatment table that may be shared or be the cause of an accident or injury. There may be certain pre-existing medical conditions that are contra-indicated for the course work you are attending. It is your responsibility to inform the staff of any pre-existing conditions prior to the course or the practice sessions. limited to, hotel or meeting-site staff, other participants, teaching assistants and ACOLS staff. If you encounter any inappropriate behavior, please notify the Instructor or call our offices immediately. To send promotional communication about special offers or other information which we think you may find interesting using the email address which you have provided. Opting Out​ The Academy of Lymphatic Studies provides users with the ability to opt out from communications from any of our newsletters or promotions. An opt-out option will either appear at the bottom of information or advertisements received by email, or users can reply directly to the emailed information and request removal from that correspondence. Security​ We are committed to ensuring that your information is secure. In order to prevent unauthorized access or disclosure we have put in place suitable physical, electronic and managerial procedures to safeguard and secure the information we collect.